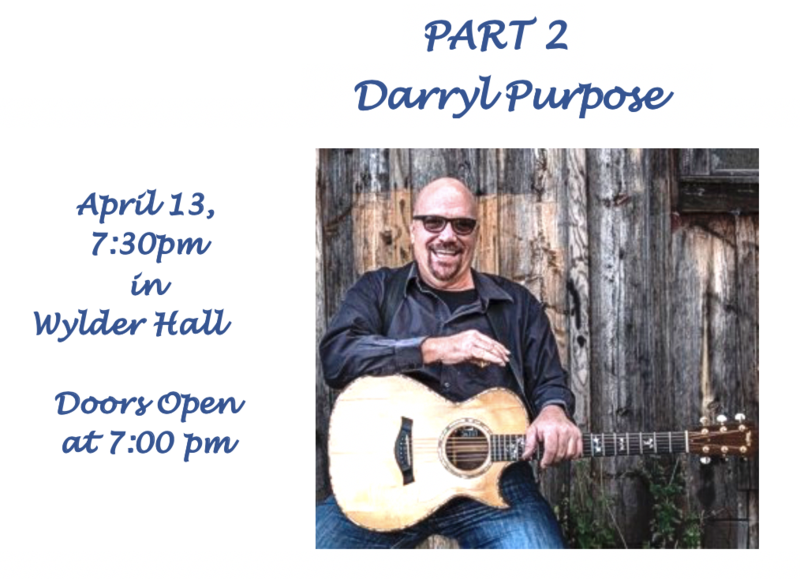 In 1996, inspired by his work with a traveling band of musical activists Darryl began to tour nationally as a solo singer-songwriter. 8 years, 6 CDs and a 1000-plus shows later, he was headlining venues like the Freight and Salvage, Club Passim, McCabe’s, The Bluebird Cafe, The Kennedy Center, and the Kerrville Folk Festival Main Stage. In 2005, he set down his guitar, took a 7-year sabbatical in the Rocky Mountains. He set out to “get healthy in multiple ways”. During this time, he studied with Buddhist master Thich Nhat Hanh; The music called him back in 2012 and saw Darryl record his first CD of original material in 10 years – “Next Time Around,”. With no formal radio promotion, the CD spent 5weeks at #1 on the Roots Music Report folk chart for national radio airplay in 2013. His critically-acclaimed latest release – “Still the Birds” twists and turns songs as unique and diverse as the stories from Darryl’s kaleidoscopic life. “Still the Birds” also rose to #1 on the Roots Music Report folk chart. Darryl has shared the stage with the likes of Santana and Bonnie Raitt in the first stadium rock concert in the former Soviet Union.